Key Difference: Assessment is to test the value of something using various tools. Testing is when something is put through a series of trials to determine its value. Testing and assessment are two different terms that are often used interchangeably and wrongly confused to believe that both have the same definition as tests. However, they are different from each other. Testing is actually one of the ways to assess something. Let’s first understand using an example: Let’s assume that a person wants to assess the validity of the statement ‘A plastic ball floats on the water because it is less dense than water.’ In order to know if the statement is true or not, the person would have to test the statement by filling a container with water and then placing a plastic ball over it to see whether it floats or no. If the plastic floats, then the statement is true. If it doesn’t, then the statement is false. The outcome does not affect the assessment of the statement, just that the statement can be proved or disapproved using proof. Assessment actually means that to check the value of something using a variety of different tools. Testing means to put a person or thing through trial in order to determine its worth or quality. 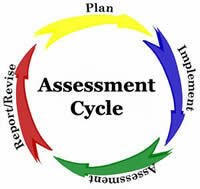 There are various different types of assessments including Educational assessment, health assessment, nursing assessment, political assessment, psychiatric assessment, psychological assessment, etc. Similarly, there are various different types of testing including software testing, education testing, experimenting, etc. Most commonly tests and assessments are often used when it comes to education and medical field. In both fields, testing is often used as one of the tools to assess the person. Assessment can also be performed on various objects to test its worth and value. These are often done on antiques to check their worth in the market. Though these terms have slight differences, they are often used synonymously in many contexts. To estimate officially the value of (property, income, etc.) as a basis for taxation. To impose a tax or other charge on. The means by which the presence, quality, or genuineness of anything is determined; a means of trial. A set of questions, problems, or the like, used as a means of evaluating the abilities, aptitudes, skills, or performance of an individual or group; examination. Psychology: a set of standardized questions, problems, or tasks designed to elicit responses for use in measuring the traits, capacities, or achievements of an individual.